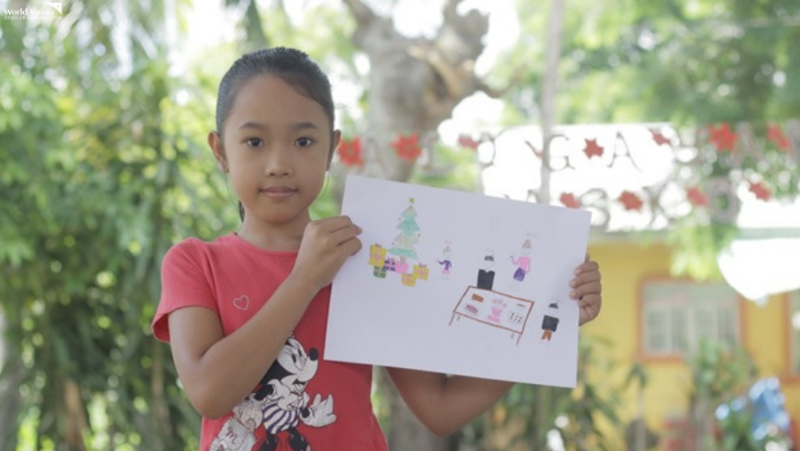 Hilarey, a 9-year-old sponsored child and aspiring teacher from Isabela, is always excited for Christmas. She associates this season with love and happiness. Hilarey lives with her father, mother and older brother. Her father works as a construction worker in nearby towns and is the only one earning in the family. He leaves early in the morning and comes home late just to provide their needs. Hilarey may not see her father often, but she appreciates his sacrifices to be there when it matters most. Growing up in the province of Isabela, the simplicity of life there has taught her to appreciate the small things—having food on the table, playing with friends, going to school and seeing her family in good health. And this Christmas, what she looks forward to is helping her mother prepare their Noche Buena and seeing her family celebrate the birth of Jesus together. “Ang gusto ko pong iregalo kay mama at papa sa pasko ay pagmamahal po. 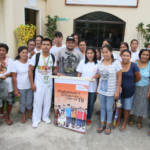 Kasi po kung gaano po nila ako minahal, gusto ko din po ganoon ko po din sila mamahalin,” shared Hilarey. Watch our short interview with her below! 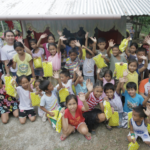 It is our hope that more and more children get to celebrate Christmas full of love just like Hilarey. Through our annual Noche Buena Campaign, we give families a reason to celebrate together and create memories that children will remember for the years to come.